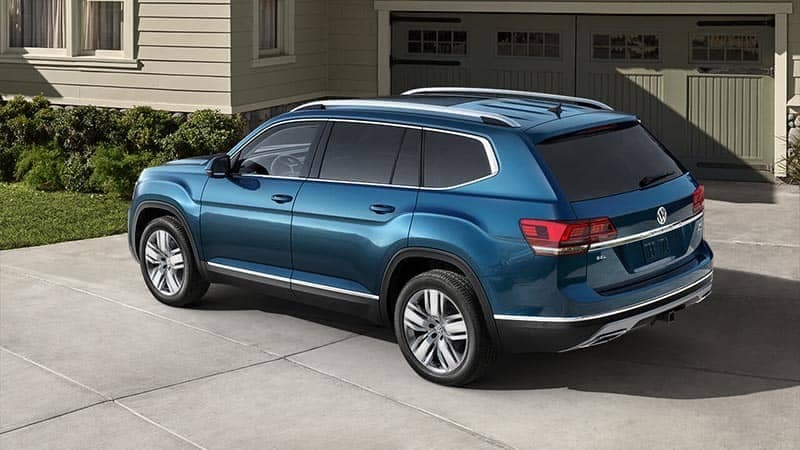 Volkswagen is renowned for crafting vehicles that are great for the family, but two models stand out when it comes to family-friendliness: the Volkswagen Atlas and Tiguan. What makes these two SUVs the perfect people haulers? Let’s give them a closer look. Both the Volkswagen Tiguan and Atlas offer the unrivaled people-carrying ability that only comes from having three rows. They have received high praise for their spacious comfort. And there’s plenty of room for cargo too. With the seats down, the Tiguan offers 73.5 cubic feet of cargo space, and the Atlas provides a massive 96.8. Each Volkswagen SUV is loaded with tech. Forget the traditional instrument cluster and go with the revolutionary Volkswagen Digital Cockpit (state-of-the-art design that was borrowed from Audi). Thanks to the fact that both can store four driver profiles, your driving experience is easy to personalize. App-Connect makes it easy to bridge your smartphone to the infotainment interface. And with advanced safety features like pedestrian monitoring, lane assist, adaptive cruise control, and blind spot monitoring, you can drive with peace of mind. Enjoy more coverage thanks to America’s best bumper-to-bumper limited warranty. Both the Tiguan and Atlas are protected by the People First Warranty. This provides 6 years or 72,000 miles of coverage, and is transferrable to a new owner at no cost to you. Ready to experience the unrivaled family-friendly offerings of the Volkswagen Atlas and Tiguan? Visit our Tampa VW dealer today and compare and contrast them to find out which is right for you. We offer the largest selection of bot the Tiguan and Atlas (and every other VW model, for that matter), so that you can be sure of finding the perfect trim package for your family’s needs. And thanks to our friendly, knowledgeable service, you can be sure to get total satisfaction every step of the way. Check out our selection of the Volkswagen Tiguan and Atlas online, or call Reeves Volkswagen at (855) 248-4512 today. 0 comment(s) so far on Are the VW Atlas and Tiguan the Perfect Family Haulers?